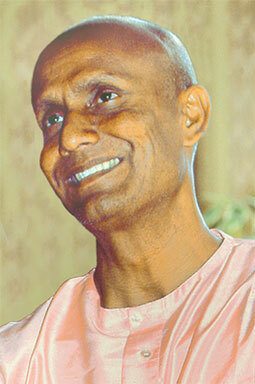 During a Bhajan Concert you can see Sri Chinmoy in meditation, Filmed 1998 in Cairns, Australia,m by kedarvideo. Don’t miss the new daily 1-minute video posts on instagram, channel: kedarvideo. Courtesy to the Mind Pump Podcast, we are publishing this interview with Sanjay Rawal, author of several documentaries and disciple of Sri Chinmoy. His newest work is “3100: Run and Become”, featuring the Self-Transcendence 3100 Mile Race in Queens, NY, as well as the three heroic aspirants Shaun Martin-Navajo, Gaolo-San Bushmen and Gyoman-san-Monks of Mt. Hiei Japan. They all run not for glory but for spiritual enlightenment, universal oneness or because they simply have the responsibility to run. As a spiritual seeker and runner Sanjay reveals the secrets about the film and his life. An inspiration for all of us! As part of a European Concert Tour through Great Britain and France, Sri Chinmoy gave a concert at the Zenith Hall in Paris on June 24, 1989. Here is the performance on the piano as well as the final meditation, filmed by kedarvideo, Switzerland. as well as on srichinmoy.tv.